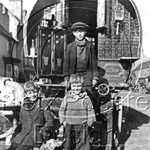 We stock old photos, photographs, images, pictures, canvases of Towns and Cities across the England. 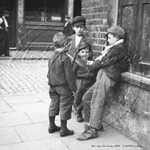 Many pictures of streets and areas of England are included and the quality old pictures start from the mid Victorian era, through the Edwardian years and 20th Century right up to the current time. England old pictures and images are part of the ever increasing NetXPosure Image Library, where each picture has been through our extensive photo restoration process.